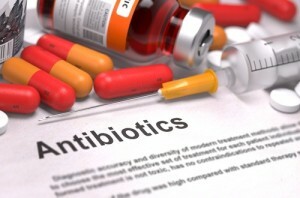 Over the past few months, I discussed some litigation involving certain antibiotics and nerve damage. Since then, lawsuits against the drug manufacturers have been piling up, with the big companies already looking to makes things more difficult for plaintiffs. There are about 24 cases floating around the federal court system alleging that the manufacturers of floroquinolone-based antibiotics such as Levaquin, Cipro, and Avelox failed to warn patients that the drugs led to a condition called peripheral neuropathy. Considering the similarities between the cases, a group of plaintiffs filed a motion asking for consolidation as Multidistrict Litigation (MDL). Their argument was pretty logical: all of these cases involve similar allegations against the same defendants, so why not combine the judiciary’s time and resources to make things a little easier on everyone? But of course, nothing is easy, especially for the defendants in these cases. Last week, Bayer filed a response that opposed consolidating cases involving their drugs Cipro and Avelox. Janssen Pharmaceuticals followed suit and filed an opposition to throwing Levaquin cases in to the mix as well. They argued that there are simply too many different drugs to litigate about here and that “case-specific” issues will dominate proceedings. But this argument could be made in almost any MDL case. In their briefs, defense attorneys suggested that that there are big differences when it comes to the three drugs, especially involving their warning labels. But so what? Consolidated cases is still going to promote judicial economy. The best defense argument is that there are too few individual cases currently filed to justify centralizing. I don’t think this is true but there is clearly a lot more cases coming. Some I’m not sure I fully see the wisdom in fighting a class action. Otherwise, a case is going to get steam and the defendants are going to have to overpay for it or risk a huge verdict. Either would increase the value of these cases dramatically. Plaintiffs arguments are also typical. Victim’s content that a class action is necessary to avoid conflicting rulings from various members of the federal judiciary. They also point out that the discovery process is going to be substantially similar for each plaintiff considering the common issues. And with that in mind, the convenience of the parties, courts, and witnesses is best served by consolidating the various litigation. Oral argument on the matter is slated for July 30th, so it will be interesting to see how the MDL panel reacts. I think and MDL is coming eventually one way or another. Why not just get it started now? The genesis of this litigation can trace its way back to 2004, when the manufacturers of Avelox, Cipro, and Levaquin placed warnings on their drugs suggesting that nerve damage was a potential side-effect. The FDA intervened in 2013 and really started to stress the dangers that these drugs posed. While warnings from the companies suggested that nerve damage caused by the antibiotics was mild and temporary, the FDA stressed that the drugs could cause problems well after users stopped taking them. Doctors now must warn patients about the possibility of nerve damage, meaning patients are in a much better position to make an informed choice when contemplating the drug. Unfortunately for some people, though, the damage is already done. In some individuals, the main side-effect, peripheral neuropathy, causes muscle weakness, numbness, and pain. What’s more disheartening is the new evidence that suggests that Avelox’s manufacturer (Bayer) may have known about this for years and kept it under wraps. That same company continued to peddle the antibiotic as if it were 100% safe for years after discovering these problems. Hopefully, the pending litigation will hold the companies accountable. Our law firm is looking at these types of cases. Our lawyers are dedicated to seeking justice and compensation for victims. Call us at 800-553-8082 to discuss your options or get a free online consultation.